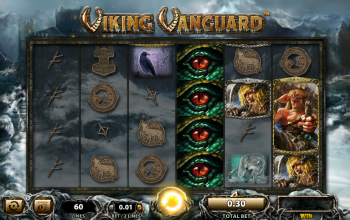 Viking Vanguard free slots machine is a must-play for the Norse adventure nuts out there. This game from WMS was the first to use the 6x4 game engine and is highly volatile, meaning enormous wins can come your way. 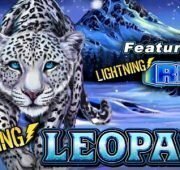 Part of this has to do with the Free Spins feature that can award up to 100 Free Spins to start. 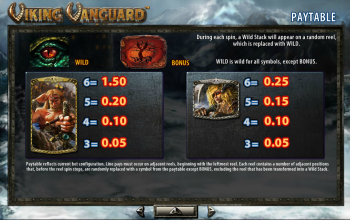 There are also stacked wilds in both the base game and free spins feature, with the latter being where the really big wins can be won. 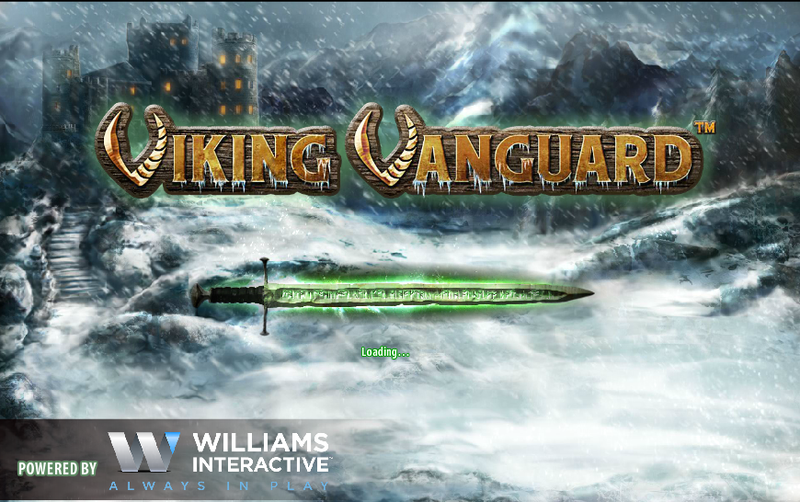 Viking Vanguard free slots machine is a must-play for the Norse adventure nuts out there. 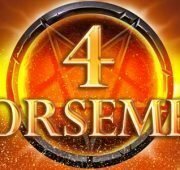 This game from WMS was the first to use the 6×4 game engine and is highly volatile, meaning enormous wins can come your way. 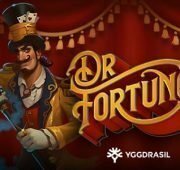 Part of this has to do with the Free Spins feature that can award up to 100 Free Spins to start. 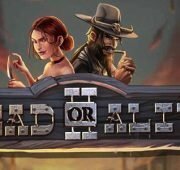 There are also stacked wilds in both the base game and free spins feature, with the latter being where the really big wins can be won. 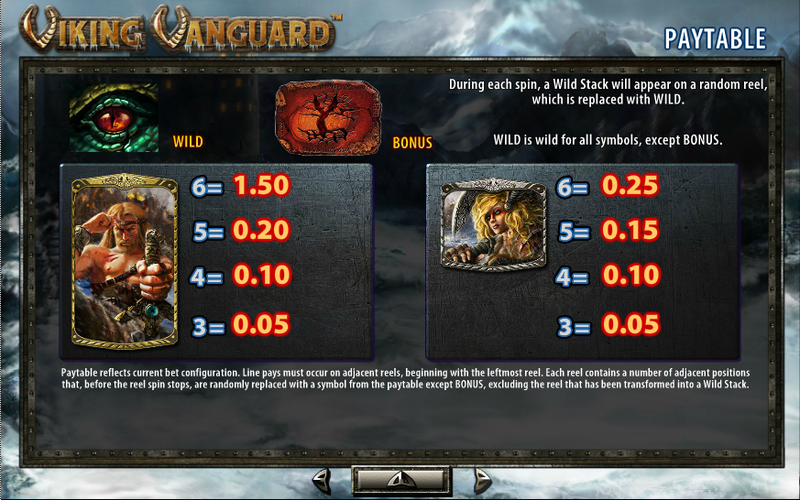 In the base game, a wild stack can appear on a random reel and then is replaced by wilds. 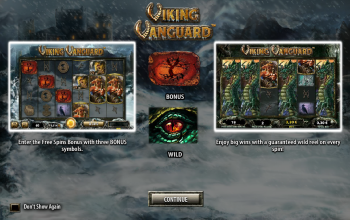 Each reel has a number of adjacent positions that, before the reel spin stops, randomly replaces with a symbol except for the Bonus symbol to give you bigger wins. 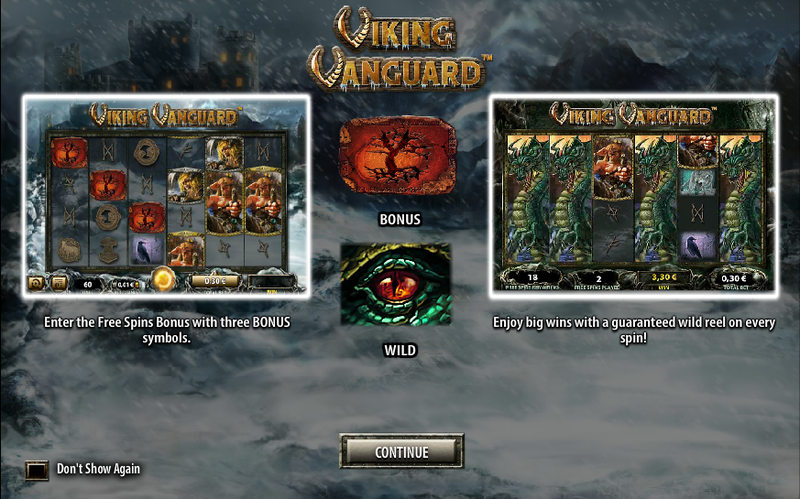 The Free Spins Bonus feature is triggered when you get 3 or more Bonus symbols. 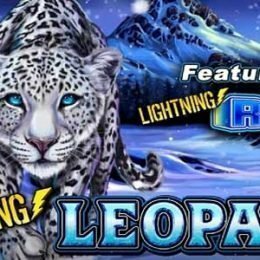 3 of them will win you 8 free spins, 4 will give you 20 free spins and with 10x your bet, and 5 symbols will give you an enormous 100 free spins with 15x your bet. 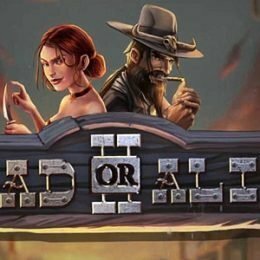 This is where you can win huge. Furthermore, the reel that changes into a wild stack on the triggering spin will remain wild for the duration of the feature. 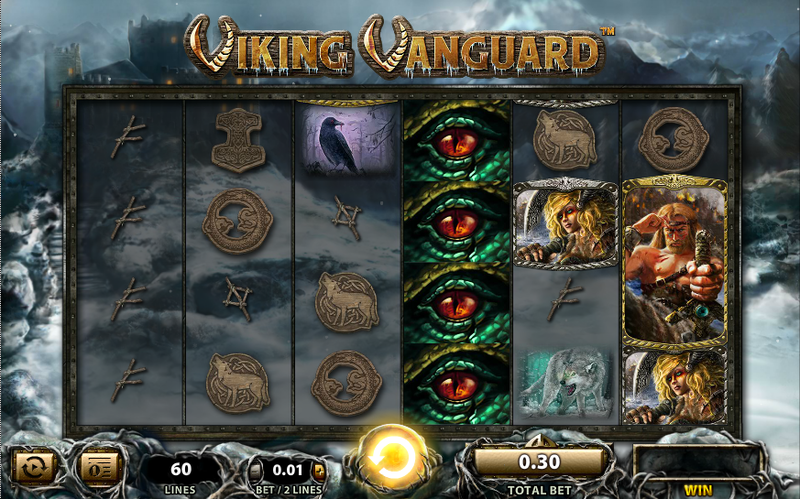 Also, up to 5 random reels, can transform into a wild stack on each free spin to increase your winning potential. 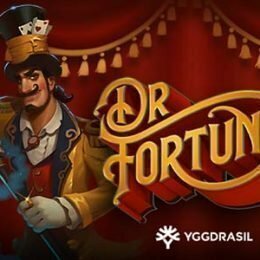 You can also gain additional free spins for getting 3 or 4 Bonus scatters during the feature (8 free spins for 3 scatters and 20 free spins for 4 scatters).